Sometimes it feels like the world is slowly going crazy. 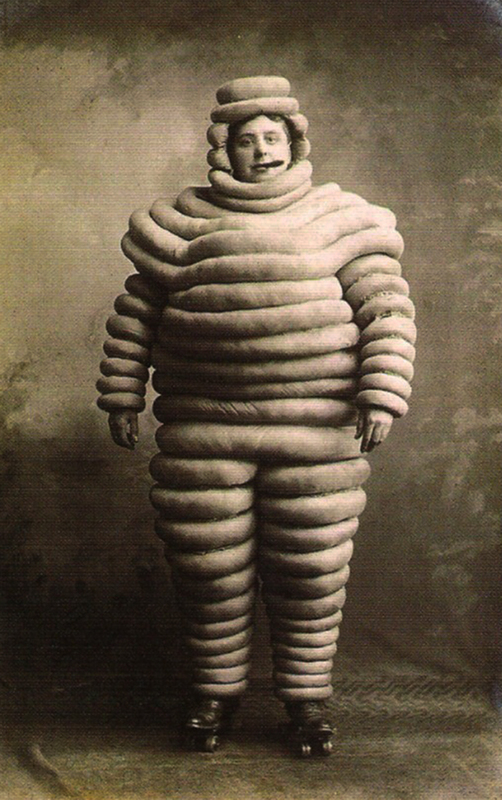 But hasn’t it always been a weird place with lots of funny things and eccentric people?! In fact, they can charge you with lots of positive energy and make your life even more interesting. We at LikeAble have collected the 20 most fascinating photos that will clearly show what our world has gone through in all its history. Alfred Hitchcock having a cup of tea with Leo the Lion in the Metro-Goldwyn-Mayer Studio. Women painting their legs to make it look like they’re wearing stockings, 1942. 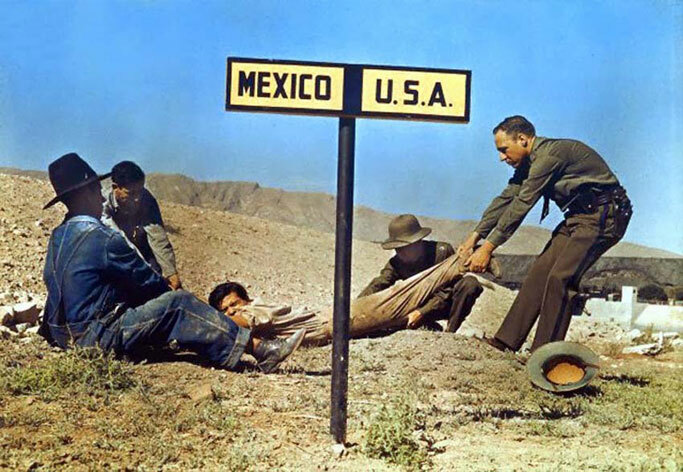 A fugitive being dragged by border patrol across the USA border. Test pilot George Aird ejects from his plane after losing control of it. Lunch break on the set of Star Wars. A portable TV prototype created in 1967. A police car with a shovel to prevent casualties or injuries among pedestrians, 1920. An English brewery delivers kegs of beer to troops fighting in Normandy, June 1944. Women wearing wooden bathing suits, 1920s. 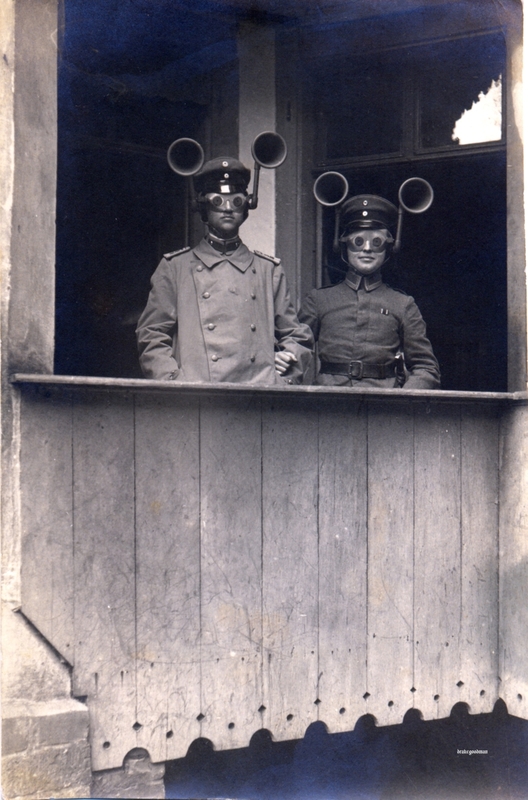 Two military officers wearing “sound finders,” designed to detect the direction of approaching enemy planes. 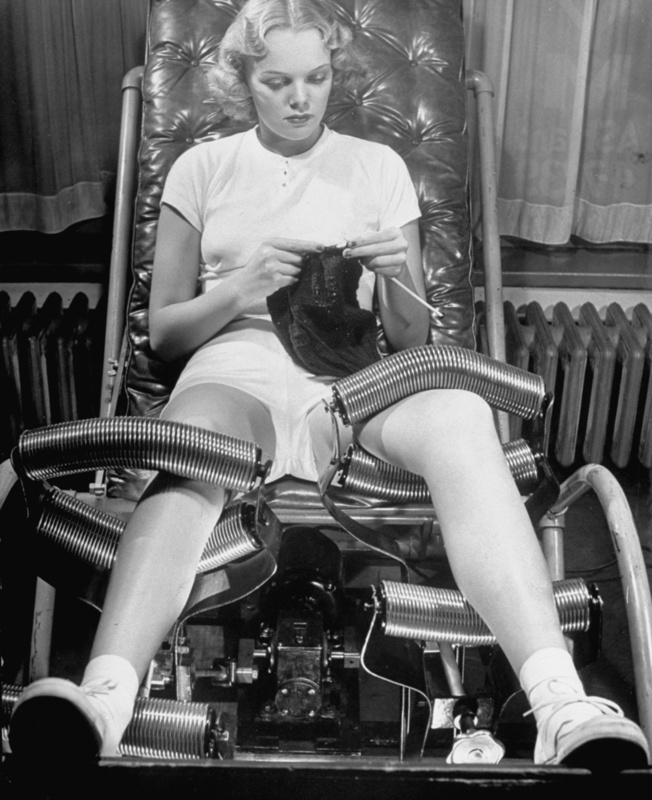 An exercise machine used to “roll the fat” out of legs, 1936. 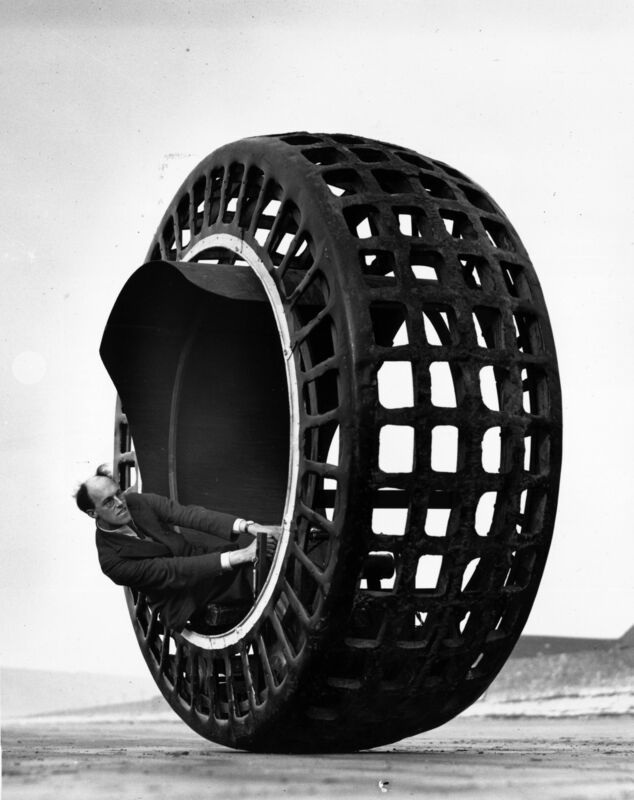 The Dynasphere, a monowheel electric vehicle which could go up to 25 mph (40 km/h), 1932. 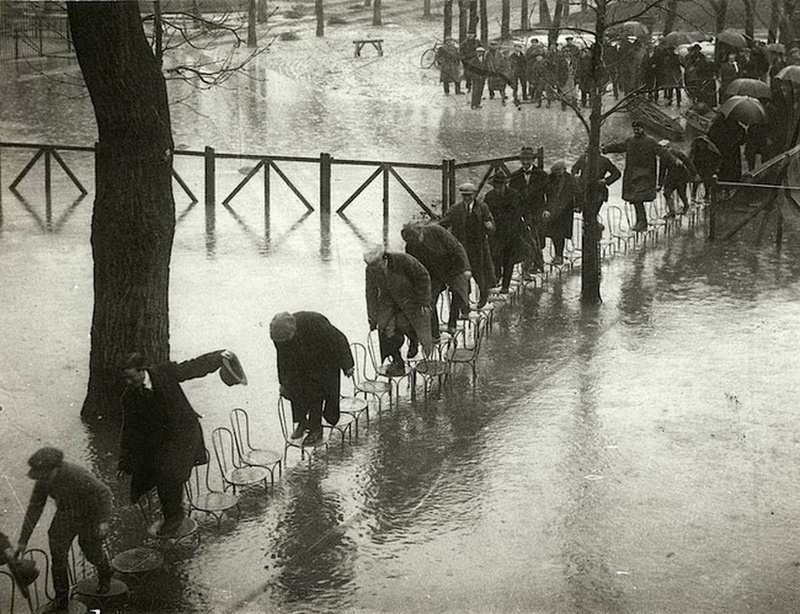 Parisians found a way to keep their feet dry by walking on rows of chairs, 1924. 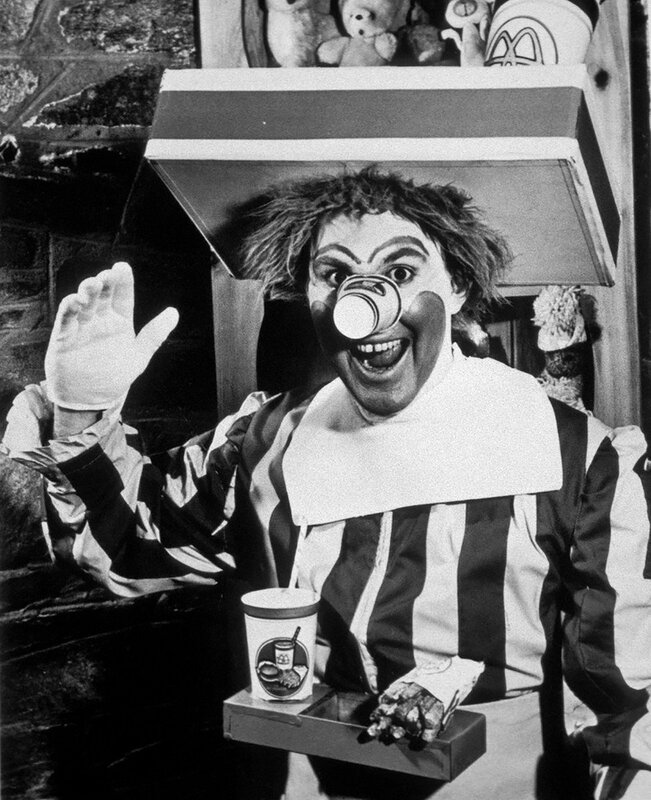 Willard Scott, the very first Ronald McDonald. A 5 MB computer hard drive being loaded into an aircraft, 1956. 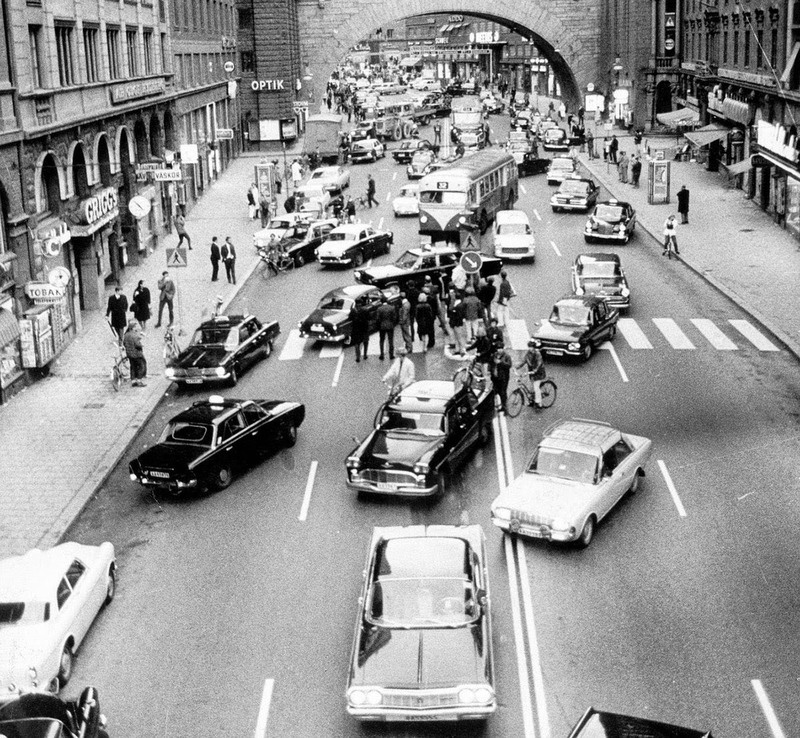 The day Sweden switched from left to right-side driving, 1967.